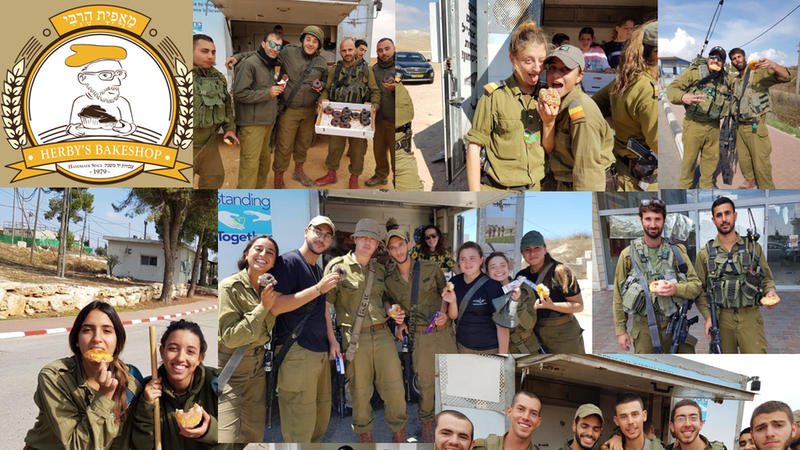 Herby’s Bakeshop has partnered with Standing Together in a project whereby people can make a donation (on the next page), receive a Tax Receipt and have donuts DELIVERED to soldiers in the IDF. Herby's Bakeshop is excited to have the opportunity to raise money for the men and women who provide all of us with a sense of security, hope and safety at all times. This program is a gesture of support, gratitude and a symbolic way to say "Thank you". Please click the Donate button to give what you can. Of course, any amount is appreciated! Don't forget to also help by spreading the word on social media (and in the real world). Even better, click on the Branch button to set up your own branch campaign customized for your friends, family and co-workers. Let's make a difference. This program is a gesture of support, gratitude and a symbolic way to say "Thank you" to unsung heroes. On behalf of the soldiers, citizens and visitors of Israel please know that your support is appreciated. Herby's Bakeshop extends a hearty "Thank you" to every donor.